I find myself stopping to photograph my coffee moment more often than not these days. I think it has to do with slowing down my life a little bit in order to capture that moment. If you read my blog on a regular basis you know that I take a lot of photographs. But there is something about these photos - whether by my phone or dslr - that stand out to me. I think it's because my coffee time is my time. Even if I'm sharing it with someone, it's like this special moment set aside just for me to relax and enjoy. I'm going to start a feature here to encourage enjoyment of that moment, but also the realization of the moment. It's a small way I can take care of myself. Sometimes I may include words but I don't know how often that will be - I never know where that moment will take me and I kind of love that. I'm going to encourage you to do the same! You don't have to be a coffee drinker. Maybe you drink tea or orange juice. That's okay! 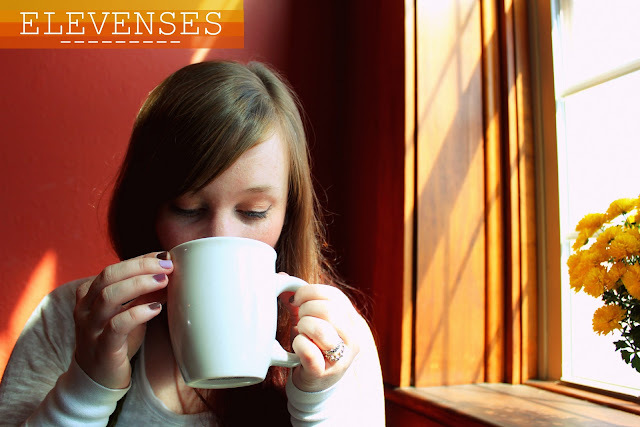 Whatever your coffee equivalent is, take your moment and savor it. I'm going to commit mine to film so by the end of the month I can look back on my moments and appreciate them, see what came out of them. I'm excited to get started on this - if you'd like to start your coffee and camera break too please feel free. I may do a linky list if you'd like to join in. I'm going to call these posts Elevenses. I know, traditionally elevenses are taken in the morning but I'm documenting mine when I decide to pause and have it. Huzzah for being a non traditional maverick! I thought sharing this with you today was a grand idea, especially given my post from yesterday. 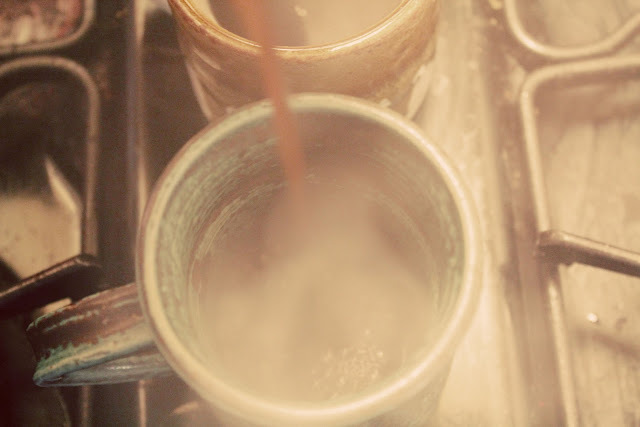 I used a photo of steaming coffee, which I've used several times on my blog because I just kind of love that particular photo. It was from a morning spent with Andrew on the front porch with absolute peace. I think it's fitting to start off this series with that photo. I also have to throw out a HUGE thank you for your support. Yesterday I was really nervous about posting that post.... I can't express to you guys how amazing it feels to have your support through this process. I got several comments and emails that made me laugh and cry all at once. It was brilliant! I'm excited to continue forward through this time to see what comes out of it - it can only be good. Love the idea & that you are being a rebel about it...LOL! Such a fantastic idea - I'd personally love a linky!!! There is something about a warm drink that is so comforting - I have a cup of tea every afternoon while I'm working, and it always feels indulgent. I love that. And I thought I couldn't possibly love coffee any more than I already do!!! What a great post about the importance of time spent just for ourselves...I need to work on making time for these more often!